Rosacea is skin condition affecting between 0.5 to 10% percent of the population. This common skin problem often develops during teenage years or the 20’s of a person. It gets worse into the 30s or 40s. According to many people who believe in modern medicine, there is no specific cure for rosacea. They said that once impacted by this problem, a person will be likely to experience it for the rest of their life. Some typical symptoms of rosacea are swelling, red bumps, patches, a burning sensation, small cysts, swollen eyelids, and dry and thick skin. These symptoms tend to happen and disappear within weeks, months or even years before erupting again. Despite there is not clear cause of this condition, many experts believe that it happens because of the swelling of blood vessels beneath the human skin. The triggers of rosacea can be exposure to direct sunlight, consuming a large number of spicy food, stress, excessive drinking, sinus infections, intense exercise, and living in the extreme-temperature areas. Also, the genes play a basic role in the occurrence of rosacea. Those people who have fair skin or blush easily may be at the higher risk of this problem. Whilst a significant number of people may struggle to take control of rosacea symptoms from appearing, the higher number of sufferers can clear up their own skin by making changes to their lifestyle and taking recommended medications concurrently. However, even if you have tried creams, lotions and pills before without success, there are still a lot of holistic steps that you could take to take control of rosacea and prevent it from spreading or breaking out. 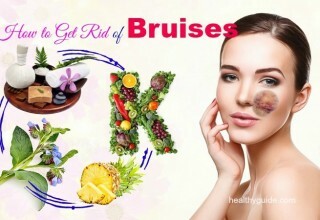 This article on Healthy Guide will reveal to you top home remedies for rosacea rash on face that could help you minimize the symptoms. Take a look! 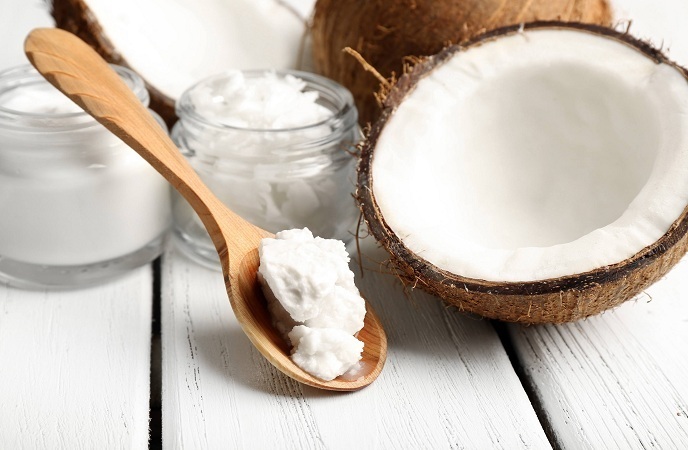 Having healthy fats which help to lessen inflammation in the gut, coconut oil can lower the symptoms of you rosacea and therefore making it disappear naturally. It is believed that the inflammatory symptoms of rosacea might be triggered by inflammatory elements in our diet. Hence, reducing inflammation is a good way to take control of rosacea symptoms. This is one of the simplest home remedies for rosacea because of its anti-inflammatory properties which help alleviate the redness and inflammation. Furthermore, the active substances, such as flavonoids and terpenoids, can offer a soothing effect on your skin. So, make use of chamomile to flush away common rosacea symptoms. However, it is worth noting that chamomile might result in allergic reactions; hence, test it on other parts of your skin before using it. 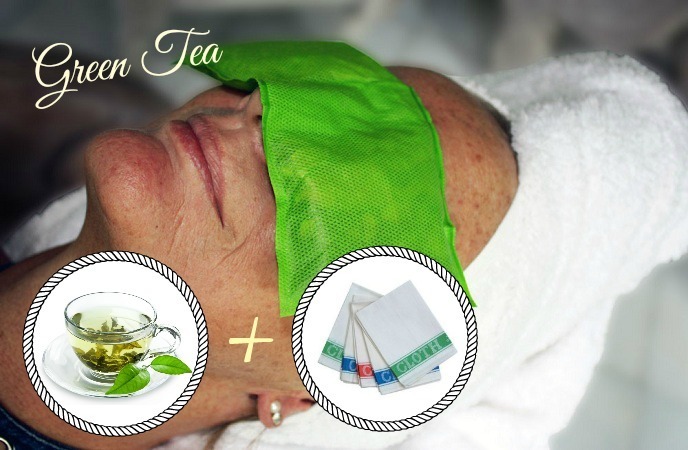 Another one out on the list of the best home remedies for rosacea we would like to introduce here in the entire article today is the power of green tea – a very common thing we are familiar with. Not only is green tea a healthy drink for us, but it also helps to treat rosacea naturally thanks to anti-inflammatory, anticarcinogen, antioxidant and phyto protective properties. 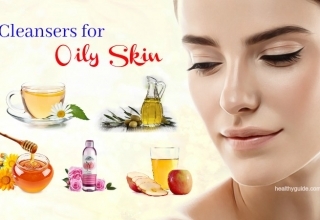 Due to these good features, it is effective reducing the reaction of the skin to ultraviolet light, thereby preventing pustules and papules from developing on your skin. Put two cups of green tea into the fridge for 30 minutes. Soak a cloth into the tea and place it over your affected areas; for example, your eyes, for a few minutes. Apply this method 2 times per day for good results. Additionally, you could drink green tea twice per day to keep your skin as well as your body hydrated. That way, the antioxidants in green tea will help you boost the healing process significantly. Think of oatmeal if you are looking for effective home remedies for rosacea rash. With antioxidant and anti-inflammatory properties, oatmeal is another good choice among useful home remedies for rosacea you can consider. 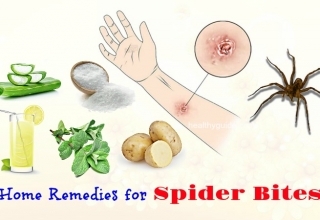 It helps reduce itching, inflammation and redness. It was proven by a study conducted by researchers in American Academy of Dermatology in 2005 that licorice can decrease the most common symptom of rosacea – redness. Its extract has amazing anti-inflammatory properties that help in promoting healthy skin cells. 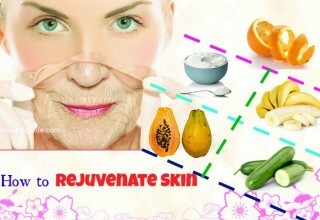 Moreover, it also decreases skin irritation. Reapply the method 2 times per day for about 8 weeks to see good results. This is also among the most effective home remedies for rosacea that readers should never skip at all costs! With anti-inflammatory and anti-septic properties, lavender oil is widely used to handle many skin issues, such as rosacea. 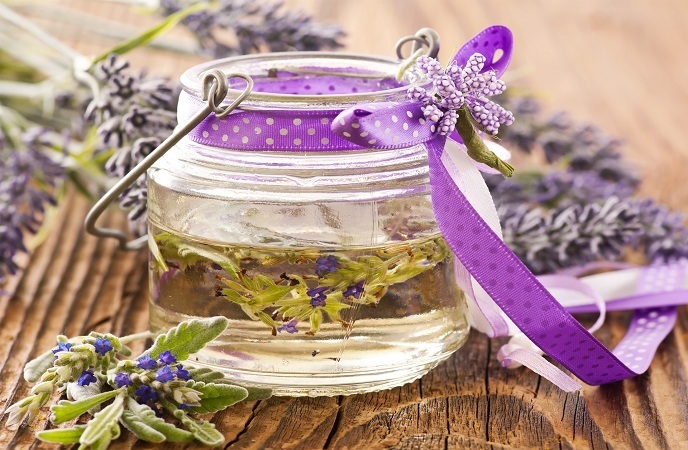 Prepare a small amount of therapeutic grade lavender oil, massage it onto your impacted skin areas. Repeat this routine twice per day for several weeks. An alternative, you can mix 1 drop of lavender oil with 1 tablespoon of the almond oil. 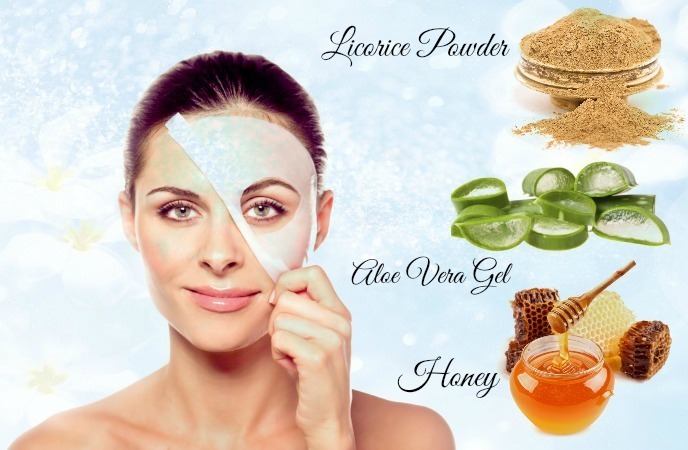 Apply this mixture before hitting the hay and massage thoroughly. The next morning, wash it off with tepid water. Do it for a couple of weeks. This will help ease the inflammation while shrinking the facial blood vessels, so helping to treat rosacea naturally. But, you should use this oil with caution because it might come with skin irritation. When it comes to home remedies for rosacea on face, honey seems to be an easy-to-find choice. 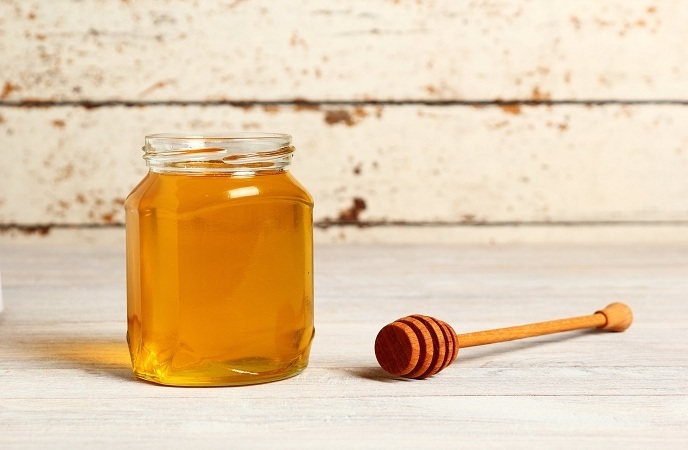 Having powerful anti-inflammatory, antioxidant along with natural antimicrobial properties, honey could decrease the breakouts of rosacea and keep your skin moisturized without causing oily skin. 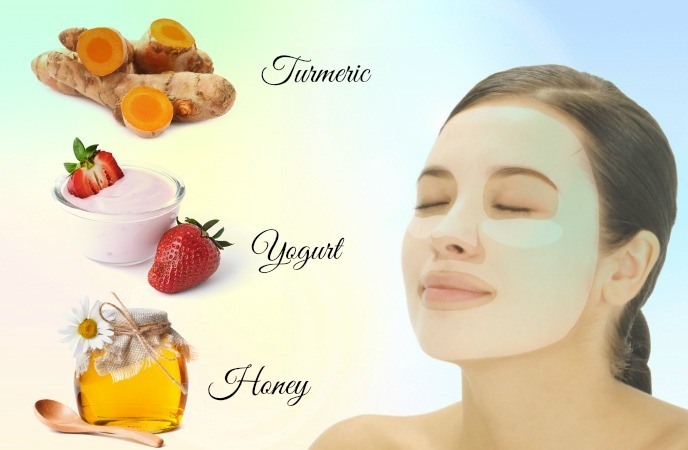 Massage 1-2 tablespoons of raw honey on the face. Wait for 20 minutes before rinsing it off with tepid water. Apply the light moisturizer after that. Re-apply it so you can decrease inflammation and accelerate healing process. Mix olive oil, whole milk and organic honey with the ratio of 1:1 ½: 2. Apply that mixture over your face and wait for 10minutes. Wash it off with tepid water. Repeat the routine 3 times per week. The visible redness – the most common symptoms of rosacea is caused by the blood vessels getting enlarged. You could alleviate it by using cucumber. Repeat the treatment 3 times per week for several weeks to see improvements in your skin. Another popular remedy among home remedies for rosacea is aloe vera, which is famous for anti-inflammatory, soothing properties. We all know that aloe vera is helpful for skin care in general, but now there is one more reason to use aloe vera more frequently. 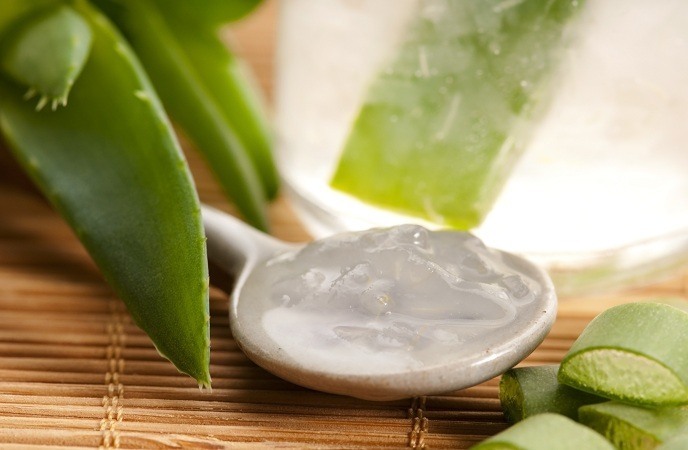 It is because aloe vera can be used to decrease the effects of the flare-ups of rosacea. Reapply this method 2 times per day for several weeks to get rid of rosacea. Yet, to prevent allergic reactions, you should test it on your skin in other parts of the body before applying it over your face. To accelerate the healing process, you can drink 1 teaspoon of the juice of this plant every day. This also helps to detoxify your body. Follow this routine for a few months. 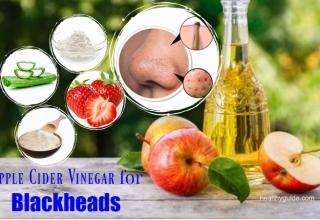 Containing anti-inflammatory properties, apple cider vinegar, one of the most effective home remedies for rosacea rash, can maintain the balanced pH level of the human body, which is one of basic factors of having healthy skin. 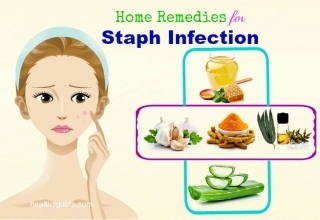 Moreover, it can work as a natural disinfectant, helping to kill bacteria and yeast on your skin. 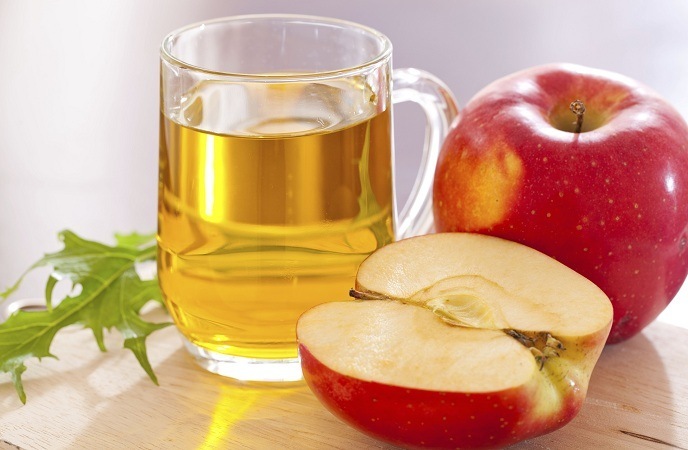 Mix 1 teaspoon of apple cider vinegar with a small amount of filtered water, followed by 1 teaspoon of honey. Drink the mixture twice per day, in the morning and at night. Apply this method for 6-8 weeks, basing on the severity of your problem. As an alternative, you can mix apple cider vinegar and water with the ratio of 2:8 and apply the mixture on your affected areas. Wait for 10 minutes before rinsing it off with tepid water. Turmeric is a famous ingredient in Indian medicine thanks to its antibacterial, therapeutic and antiseptic properties. It is also one of home remedies for rosacea. Use it internally and externally can decrease the redness as well as inflammation accompanied with rosacea. Mix turmeric and yogurt or honey together with the ratio of 1:1. Apply the mixture over your affected skin which is cleaned up and dried in advance. Repeat the routine once per day till your problem subside. Another way to take advantage of turmeric for rosacea is to mix it with lukewarm milk or water. Then, drink the solution two times per day for a better overall health and to lessen rosacea symptoms. Containing anti-inflammatory properties, flaxseeds are good for those with rosacea. It helps to decrease redness and soothe infected skin thanks to the essential fatty acids. 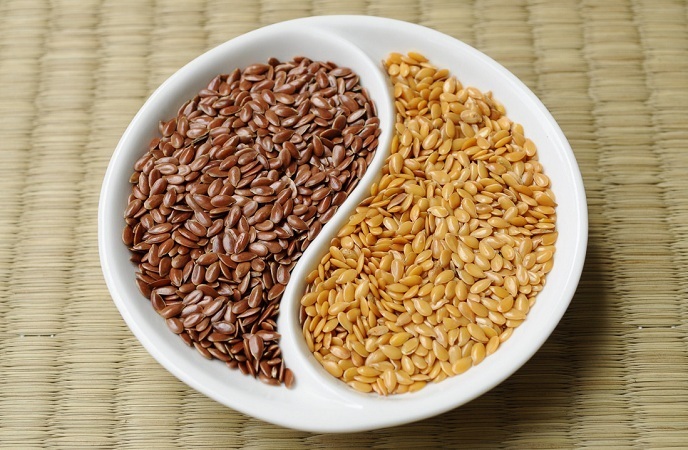 Add flaxseeds into your daily diet to keep the symptoms of rosacea under control. 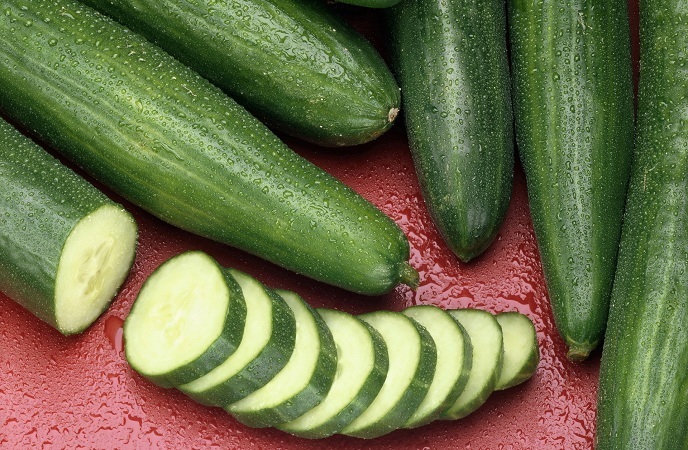 Similar to cucumber, you can use apple to make a facemask for controlling rosacea symptoms. 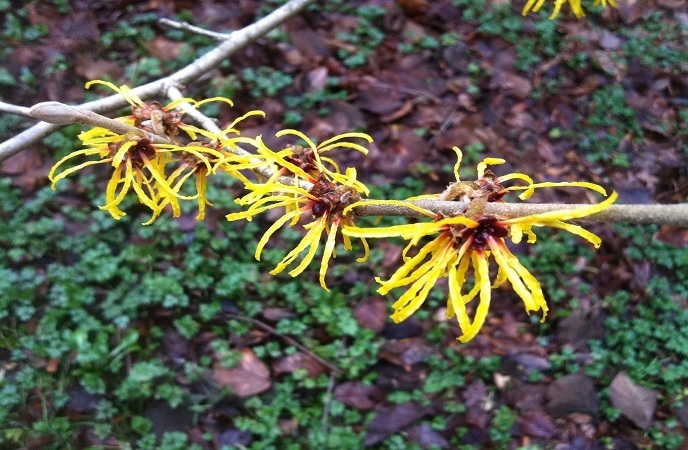 Try witch hazel spray bottle blend for rosacea control. However, more than usual, alcohol is an irritant to those people having highly sensitive skin. Thus, you should avoid the skincare products with alcohol in their composition. Besides, witch hazel is also irritated for some people; therefore, you should do a patch test in advance before using this specific suggestion. Witch hazel in this recipe acts as a pore shrinker which helps in keeping germs at bay and preventing rosacea flare-ups throughout the day. But, if you notice any side effects from the patch test, do not use this recipe. Add geranium, helichrysum, frankincense and lavender essential oil to a 2-oz spray bottle with the ratio of 3:6:8:4. Fill the remainder of that container with an alcohol-free witch hazel toner. Shake vigorously to mix these ingredients together well. 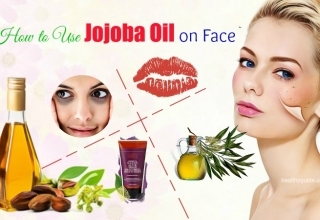 Apply the mixture directly over your problematic skin areas which are cleaned up beforehand. Spray that solution on your face as many times as you need to calm the inflammation and itchiness accompanied with rosacea. 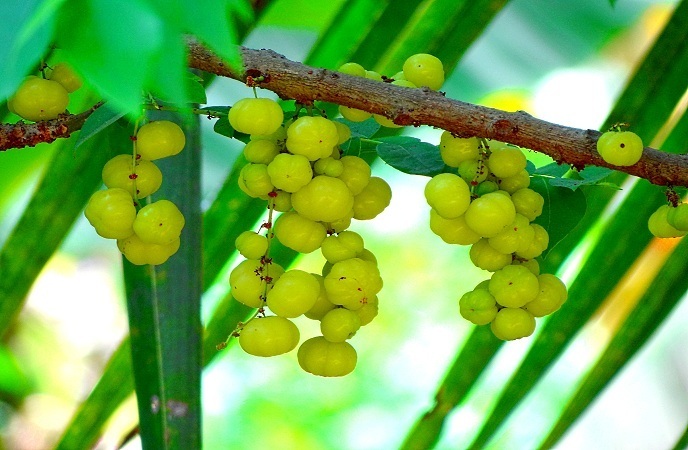 Amla has curative powers and miraculous healing properties. Being a superb cleanser and detoxifier, amla can naturally maintain and enhance skin health. Besides, it is rich in vitamin C and bioflavonoids which have anti-inflammatory properties and make the blood vessels strong and tough. Vitamin C will increase the immunity and also strengthen the connective tissues. These substances when combined together inhibit the flare-ups, decrease the irritation as well as swelling, and promote the healing process. Thus, it is recommended to drink a small glass of alma juice daily in order to see improvements in yours rosacea condition. Another option in regard to home remedies for rosacea is Gentian root. Gentian root is an herb found in the high pastures of the Himalyas and Alps. These roots take about 7 – 10 growing seasons to get matured. It has therapeutic values, so it has been used in European herbal medicine throughout for 2200 years since its discovery. 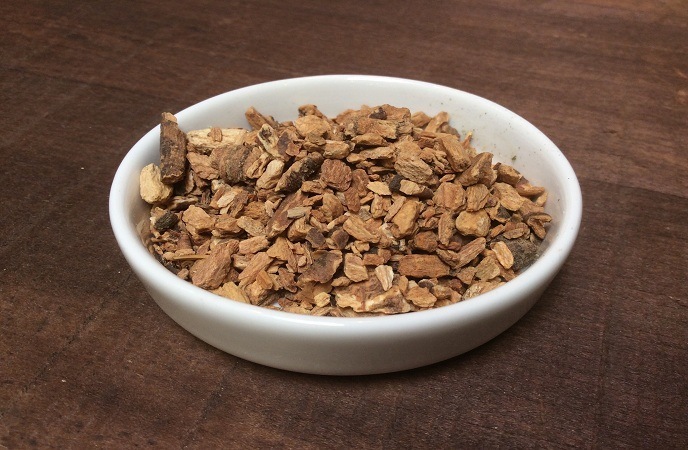 Despite there are no clinical trials supporting the traditional uses of Gentian root, it is known to help stimulate appetite, treat GI complaints, treat sore throat, jaundice arthritic inflammation, induce menstruation, and improve digestion. Stemless gentian is often consumed as an alcoholic extract or tea, like Angostura bitters. These extracts are made used of in a wide range of cosmetics, foods and anti-smoking products. In essence, any kind of digestive problems could flare up rosacea symptoms. Thus, it is crucial to maintain a healthy digestive system to keep the symptoms under control. Therefore, you could use Gentian root for the purpose of cleansing your whole system and eliminate indigestion. Just simply take approximately 300mg of gentian root about 15 minutes before having your meals. This will accelerate the digestion process, boost your skin tone, and prevent flare-ups. Nonetheless, Gentian root should be used with caution in those people who have duodenal ulcers, high blood pressure and gastrointestinal irritation. For some rare cases, the side effects coming with using Gentian root can be headache, vomiting and nausea. 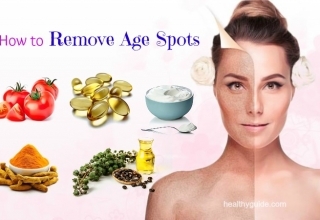 This is the last yet also very important one among the best home remedies for rosacea we would like to reveal here and encourage readers to make use for good! Facial steam treatment can sometimes help you get rid of the symptoms of rosacea. Furthermore, this method offers a relaxing feeling for your skin. Wash your face well to help clear microbes and germs. Fill a bowl with 70 oz of the boiling water, then add 1 teaspoon of the mixture prepared above. 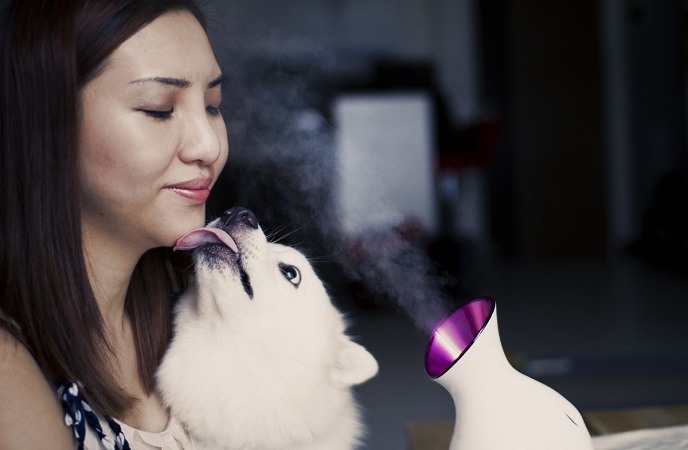 Keep the face a foot away from the water and keep the eyes closed when steaming. 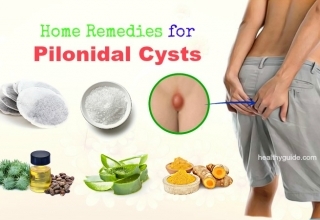 Let this remedy take effect for about 15 minutes, and wash off with cool water. Apply the moisturizer to keep your skin hydrated. These are the most effective home remedies for rosacea, according to some experienced people. Remember that natural home remedies for rosacea could be effective for some people whilst doing nothing for others. It is highly recommended to consult a qualified healthcare provider in advance before using of these self-treatments, particularly if you are getting pregnant, nursing or using any medications. High-quality “clean proteins” found in wild-caught fish such as salmon, or cage-free eggs and grass-feed animal products, and legumes. Anti-inflammatory foods as well as herbs, such as ginger, turmeric, onions, garlic, cruciferous veggies like cabbage, broccoli, and collard greens, etc. Trans fats, fried foods, and hydrogenated oils such as safflower, soybean, canola and sunflower oils, and corn. 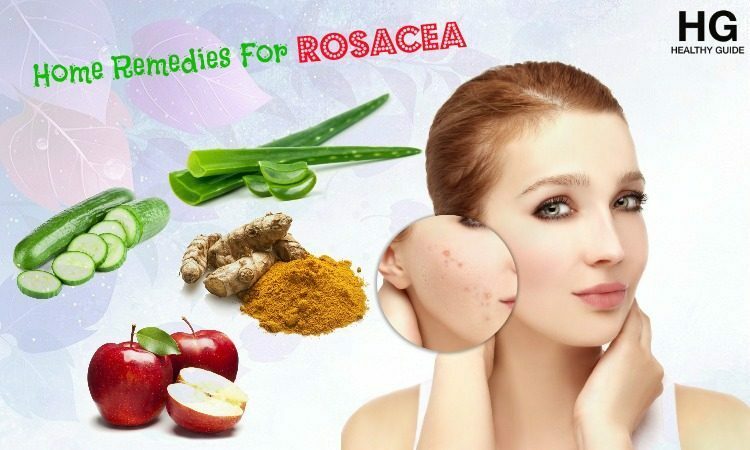 Hopefully this article of 17 home remedies for rosacea has helped you find the best method to treat your rosacea symptoms without using medical drugs. For any contributing ideas about this entry, feel free to drop with your below. We appreciate your comments and will respond as soon as possible.